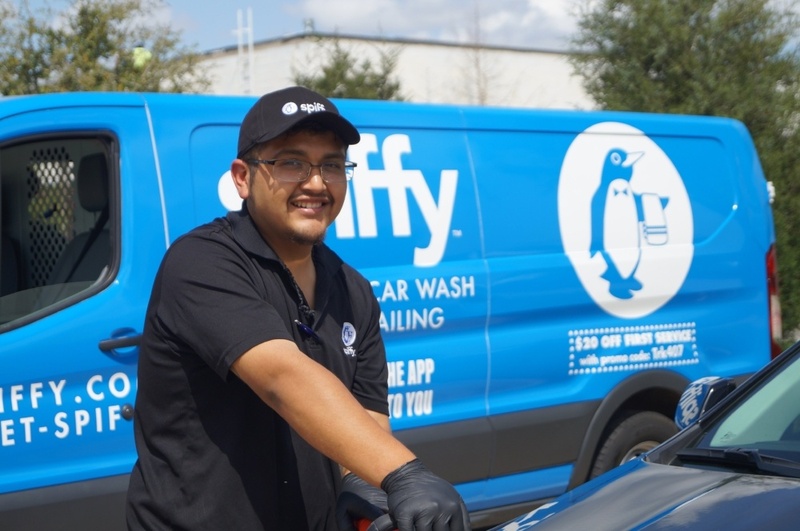 We couldn’t do what we do here at Spiffy without our fantastic technicians, they work in all weather, showing terrific results with each and every service. We have chosen to highlight one of our technicians from Dallas, Texas, Anthony Velazquez. At only 21 years old, he has excelled in his position and always has a smile on his face. A: My name is Anthony Velazquez. I am 21 years old. Born and raised in Dallas, TX. I have worked with Spiffy for 9 very fun months. A: My favorite thing about my job is the diversity of the people and the variations of tasks that go on daily. Spiffy is a one of a kind job with a very unique culture. What surprises me is how fast it is growing, evolving, and the diversity of people it attracts both in the workplace and in the field. A: Outside of work I like to spend time with my dogs and my family. I like to have new experiences and explore new activities. I plan to go skydiving in the near future. A: The coolest car I have ever detailed is a Rolls Royce Ghost. The amount of detail those model cars have make it one of a kind and a very unique attraction. A: My dream car is a Grand Cherokee SRT8. The Grand Cherokee SRT8 has just the right amount of space for me, my dogs and my family. Not only can it be a daily driver, but can also be a beast on the track with 475 hp making it one of the top of the line sport SUVs. A: I prefer Star Wars because Chewbacca rules! A: Don't be afraid to try Spiffy or join the Waddle (group of penguins on land). Thanks Anthony for being an amazing Spiffy technician! Ready to have one of our awesome technicians service your vehicle? 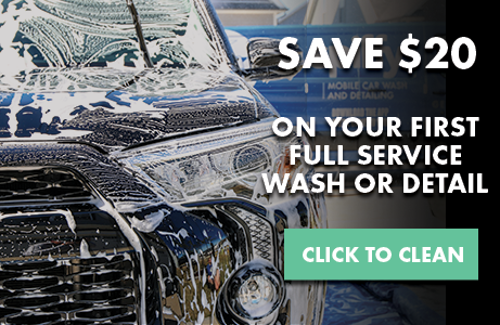 Book today and use the link below to get $20 off your first full wash or detail.